Military professionals must cultivate political literacy. In General Lloyd Austin’s words, officers must have a nuanced appreciation for “the political, economic, and socio-cultural currents” that drive attitudes and behaviors. Posture statements, which each geographic combatant commander delivers annually to Congress, reveal admirals and generals (and their staff officers) struggling to understand how best to employ the military instrument of power amidst a confounding mix of sociopolitical forces. Yet if political literacy is critically necessary, it is also ubiquitously absent. A 2012 Joint Staff report found that the U.S. military’s number-one shortcoming during this century’s first decade of war was “a failure to recognize, acknowledge, and accurately define the operational environment,” including “not only the threat but also the physical, informational, social, cultural, religious, and economic elements of the environment.” A 2014 Rand study led by Linda Robinson and daily newspaper accounts of U.S. military interventions indicate the shortfall remains. The skilled integration of political science in the classroom provides a way for educators to squarely address these leaders’ concerns. But we first have to rethink fundamentals. Military educators can help reverse this intellectual deficit. My focus here is on the U.S. Army and Fort Leavenworth, where mid-career Army officers learn to plan operations, lead staffs, and—for some—command battalions. For most, the ten-month course is their last formal schooling. Although I delimit my friendly critique to Fort Leavenworth, other services’ military educators should assess the argument’s applicability to their respective colleges and universities. After all, the U.S. military’s chronic strategic frustration is not attributable to the U.S. Army alone. Strategic outcomes are, at least partly, a function of interservice, or joint, decisions and actions. They are also partly a function of policy decisions, but that is a topic for another article. If these observations are correct, U.S. strategic performance suffers from a remediable neglect: the failure to appreciate the central role politics plays in war. “Politics” extends beyond the “high politics” of heads of state and diplomats. It includes also those ground-level economic, social, cultural, psychological, and ethical dynamics that determine power distributions in cities and villages, among armed actors and civilians, and between criminal and political organizations. These dynamics arise as salient features during peacetime training, humanitarian and peacekeeping operations, insurgencies, and the conduct and closeout of conventional wars fought between near-peer competitors. Lethal force is merely one of many factors affecting outcomes. Soldiers must also “understand the cognitive, informational, social, cultural, political, and physical influences affecting human behavior and the mission.” Put otherwise, political literacy—which is also a kind of causal literacy—is necessary for military and strategic success. Educators can help, but a prevalent approach to military pedagogy—what I call a “bailiwick approach”—hinders the attainment of political literacy. Bailiwick educators consider fine-toothed questions about sociopolitical dynamics and conflict resolution to be irrelevant to military work; their bailiwick is to educate solely for the doctrinal delivery of ordnance. This separation between violence and politics is counterproductive, whether in the classroom or during military operations. We all recognize that there are things that other government agencies and NGOs [nongovernmental organizations] do in pre-conflict/conflict/post-conflict environments in mitigating problems and stabilizing the environment. We seek their input during our planning process, but we don't ourselves try to bring to the table what they would. So we shouldn't try in the classroom either. Military education invariably foregrounds the military and neglects the political. The focus, with few exceptions, is on military history, military leadership, and military doctrine. Occasional seminar discussions about, say, “soft power” or regional electives that facilitate mere “wave-top” familiarization are insufficient. Students must wrestle with how politics and violence combine in concrete ways to affect ground-level interactions. They do not wrestle today. The mid-career student at Fort Leavenworth (and perhaps elsewhere?) has no requirement to study—in a sustained, rigorous manner—a single unfamiliar, real-world population, conflict, and potential adversary with the degree of detail necessary for adequate intelligence analysis or planning. When we went into Iraq in 2003, we did everything that we wanted to do. We very quickly removed the regime. We gained control of the population. We had no idea or clue of the societal devastation that had gone on inside of Iraq and what would push back on us. We didn't even think about it until we got in there. So we can't allow that to happen again. Odierno’s critique is that military leaders failed to understand the reciprocal, causal connections between a military’s actions and the sociopolitical landscape. What can military educators do? Any dynamic that influences violence—its onset, continuance, dissipation, and delimitation—ought to be the military officer's concern. The officer who cultivates this proficiency is no mere “manager of violence.” She becomes a valuable “expert in violence.” This officer can proffer advice—whether to a battalion commander or to the president—about how today's conventional interstate war might, say, morph into tomorrow's civil war because of yesterday's political and military decisions. She can do this because she has studied the connections between politics and war. Students who learn to graphically depict and critique these and other scholars’ arguments are better postured, professionally and ethically, to exercise military power. They learn to appreciate the causal interplay between ground-level politics and armed interactions. They can proffer sober assessments about the efficacy of intervention. They can also craft remarkably creative and ethically-minded interventions. Four obstacles hinder the political scientist’s contribution to political literacy. This section addresses three of these hindrances, while the next section describes the fourth, which comprises a series of planning pathologies. First, academic jargon and mathematics can render political scientists' works deceptively inaccessible. However, skilled educators can train officers to read, map, and assess an argument’s causal story. Appreciating the theory and historical cases in, say, Fotini Christia’s Alliance Formation in Civil Wars may require sustained practice, but it does not require statistical training. Second, there exists a prevalent hostility in military circles to the social sciences. Colin Gray, esteemed in military circles, writes: “By way of sharp contrast to the contributions from arts disciplines, science and social science do not offer methodologies useful for the derivation of helpful understanding of the strategic future.” He adds that social science's methods are “thoroughly disabled, not merely disadvantaged, by their nature.” This hostility is unproductive and, really, ethically problematic insofar as it precludes students from attaining a more comprehensive appreciation of conflict and war. A third surmountable barrier is the “training versus education” myth. Many educators claim there is insufficient time to train students how to plan operations and educate them for the world. My recommendation is to, first, apply military planning to real-world crises and, second, integrate scholarly research and other stakeholder perspectives into planning exercises. Students today spend too much time analyzing fictional scenarios and consulting “scenario reference books,” thereby short-circuiting the very same research skills officers will need to employ in war. An alternative, vibrant classroom experience would employ materials from Marc Lynch’s Project on Middle East Political Science, blogs such as Political Violence @ a Glance, and neglected works by the Army's own scholar-warriors, including Robert “Bob” Cassidy, Isaiah “Ike” Wilson, and Joseph Felter. Students today spend too much time analyzing fictional scenarios and consulting “scenario reference books,” thereby short-circuiting the very same research skills officers will need to employ in war. Finally, the fourth obstacle are planning pathologies in classrooms and on staffs. The military classroom risks posturing students for military navel-gazing. The principal aim of military instruction is to teach doctrine and the historical performance of U.S. forces in war. The complex mix of sociopolitical factors that pose real-world challenges for joint force commanders receives little or no attention. Put otherwise, the military classroom neglects the very problems combatant commanders describe in their posture statements. Political science, particularly that subset of political science that focuses on the discernment of causal mechanisms at play in and amidst armed conflict, can help. This body of knowledge expands the officer’s appreciation for the very dynamics top admirals and generals confront daily. Political science introduces new and empirically tested perspectives about how conflicts and wars manifest, unfold, and conclude throughout space and time. If Kissinger, Rose, Odierno et al., and Robinson are right, neither the cultivation of political literacy nor deep-dive research into competing scholarly and stakeholder perspectives is as pervasive as it ought to be in classrooms and on staffs. In this section, I describe seven planning pathologies I have observed in both venues. If the integration of complementary and competing perspectives is to occur in the classroom and on staffs, professors and leaders must dampen these pathologies. Cubicle planning: Planners, serving as project officers, work alone in cubicles, not collaboratively or competitively. 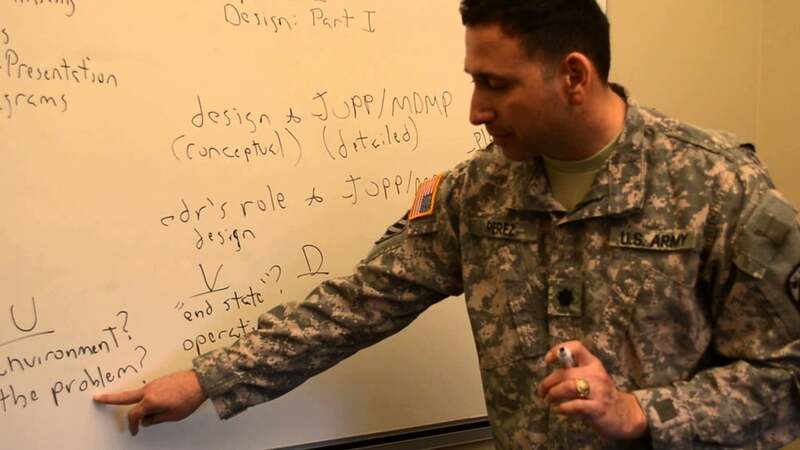 Whereas joint and Army doctrine emphasize the importance of collaboration, dialogue, and critical (and thereby competitive) thinking, it is common to find a single mid-career officer in charge of a planning effort. The assignment of planning portfolios is not in itself bad; however, the risk is that day-to-day “planning” begins to look less like a sustained, collaborative gathering of planners doing research, positing arguments, and crafting courses of action and more like a single officer typing at a keyboard. Navel-gazing planning: Planners do navel-gazing planning, which focuses mostly on the digestion of higher guidance. Effective planners must reconcile two principal inputs. The first source of input comes from higher guidance, to include high-level strategic documents and theater campaign plans. This guidance typically does not present a granular depiction of the environment. A second source of input comes from a fine-toothed analysis of the operational environment. It is common to see staff officers focus on the digestion of higher guidance and neglect the analysis of the environment, especially its sociopolitical dimension. The possibility exists that a major on a staff can craft a beautifully coherent theater or supporting campaign plan without ever having to leave her office or, much less, visit the physical locus of her proposed interventions. All she has done is digest higher guidance, replicate the framework established in the higher command’s plan, and derive some nice-sounding tasks. The document looks impressive, but it has nothing interesting or thoughtful to say about the environment or the sociopolitical outcomes military interventions are intended to achieve. Macro-level bias: Planners evince a macro-level bias, which neglects ground-level dynamics and feasibility. If planners do begin to look at the operational environment and its sociopolitical aspects, the analysis occurs at too high a level. Séverine Autesserre describes how this bias exists not only among military leaders, but representatives of nongovernmental organizations, diplomats, international organizations, and political leaders as well. This bias appears clearly when looking at students’ or planners’ whiteboard work, which often displays such unhelpful macro-level entities as, say, “Afghanistan,” “corruption,” “insurgency,” “crime,” “poverty,” etc. Posture statements too tend to evince this bias. The effect of this bias is that important dynamics, whose appreciation is necessary for sustainable conflict resolution, receive no attention. Moreover, planners too often use the mantra of “Don’t get in the weeds” to avoid the detailed analysis necessary to evaluate a proposed intervention’s feasibility at the physical locus of intervention. Anti-politics bias: Planners evince an anti-politics bias, which focuses on ordnance delivery and neglects political factors. I have addressed this bias sufficiently; however, it is important to understand that politics, as an object of scholarly investigation, relates to how structural, institutional, psychological, and ideational factors combine to affect the distribution of power in polities, regions, and the globe. It follows that ambient violence, which is a manifestation of lethal power, is a component of politics. Although officers should be apolitical in terms of how domestic partisanship relates to duty performance, they should cultivate the political literacy I describe here. Anti-intellectual bias: Planners evince an anti-intellectual bias, which discourages deep-dive research and a full study of war. Whether planning occurs in the classroom or on a staff, it should become apparent to the outside observer that planners are consulting and, indeed, wrestling with outside sources. I have spoken at length about the role political science might play; however, the U.S. military’s publishing outlets also routinely produce valuable insights. For instance, Joint Force Quarterly appears regularly in students’ mailboxes at Fort Leavenworth. This journal provides expert perspectives on joint planning, multinational operations, interagency cooperation, and real-world challenges. Yet, it is a common occurrence to see these journals, with plastic wrappers intact, thrown individually into the garbage or arranged neatly into foot-high stacks ready for the janitor’s disposal. Military teachers can, and should, do something to reverse this anti-intellectual strain. Military professionals’ intellectual burden in the classroom should be commensurate to their conditional license to kill and destroy—in large numbers—during operations. The blinders bias: Planners neglect the integration of complementary and competing expert perspectives. Although it is time consuming and difficult, planners must adopt the habitual practice of rapidly searching out complementary and competing perspectives on the problems commanders confront. Again, joint and Army doctrine recommend this practice, but it is unusual to see on staffs. The planning climate a leader establishes can help or hinder the mitigation of this bias. The causal-indifference bias: Planners evince a lack of causal understanding, especially with regard to assessments. Will toppling the Libyan regime conduce to happy strategic outcomes, or not? Was the 2007-2008 “surge” in Iraq really responsible for the short-term diminution of violence, or not? Does handing out money to civilians spur economic growth, or reduce violence, or neither? What sociopolitical effect does security cooperation in this or that theater have on regional stability, or not? Does vetting prospective members of U.S.-backed rebel groups work, or not? The foregoing pathologies, which manifest in classrooms and on staffs, hinder the cultivation of political literacy. They do so by, in various ways, blocking the introduction of necessary perspectives, causal possibilities, and information. If political science and professional journals are to have some effect on improving the causal literacy that military professionals both require and lack, professors and leaders must resist the pervasiveness of these pathologies in their respective houses. If political literacy is as necessary for strategic success as senior military leaders and outside observers argue, the leadership of the various services’ colleges and universities should do six things: (i) they must mindfully erase the distinction between military education and military training, (ii) they should routinely integrate scholarly, practitioner, and stakeholder perspectives in military planning; (iii) they must emphasize the use of military design, which creates the doctrinal license to integrate multiple outside perspectives, (iv) they must also spur a reconfiguration of key ideas, including military expertise, military advice, the profession of arms, and military ethics, (v) they should aggressively seek out chances to underwrite initiative, innovation, experimentation, and competition in our schoolhouses, and—most importantly—(vi) they should evince a willingness to boldly exercise talent management, despite predictable institutional pushback. Students—informed by expert scholarly and stakeholder perspectives—working together as a true learning organization. Students—markers in hand—standing around white boards, mapping causal claims, and engaged in a “competition of ideas” about a problem’s dynamics and potential interventions. Students—infused with the ethos of Unified Action and Mission Command—expertly trained in strategy formulation, military planning, and military ethics. What is military expertise and advice? The military professional cannot limit advice to proffering courses of action for employing weapon systems. She must—as an expert in violence—anticipate how destruction might affect political outcomes. Military expertise extends beyond the delivery of ordnance. It includes the ability to envision potentialities to the left and right of the boom. Military advice requires the expert rendering of imaginative assessments of how sociopolitical dynamics on the ground might, in General Odierno’s terms, “push back on us.” Strategic discontent has come not from the inability to orchestrate the musicians of Mars (although this work too is crucial), but from an inability to apperceive telltale sociopolitical dynamics. Celestino (Tino) Perez, Jr., Ph.D. is an active-duty colonel now serving at U.S. Army North. A veteran of Iraq and Afghanistan, he has served in a variety of command and staff positions as an armor officer and strategist. 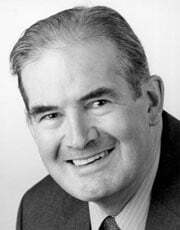 He has taught political theory at West Point, as well as political science, strategy, and military planning at the U.S. Army Command and General Staff College at Fort Leavenworth, KS. The views expressed in this article do not reflect the policy or position of any official organization. Raymond Odierno, “News Transcript: Department of Defense Press Briefing with Gen. Odierno on the State of the Army in the Pentagon Press Briefing Room,” U.S. Department of Defense, August 12, 2015, available at http://www.defense.gov/News/News-Transcripts/Transcript-View/Article/613683/department-of-defense-press-briefing-with-gen-odierno-on-the-state-of-the-army. Quoted in Ernesto Londoño, “U.S. military officers have deep doubts about impact, wisdom of a U.S. strike on Syria,” Washington Post, August 29, 2013, available at http://www.washingtonpost.com/world/national-security/us-military-officers-have-deep-doubts-about-impact-wisdom-of-a-us-strike-on-syria/2013/08/29/825dd5d4-10ee-11e3-b4cb-fd7ce041d814_story.html. Lloyd Austin, Commander, U.S. Central Command Posture Statement, March 2014. The Joint Staff J7, Decade of War, Volume 1: Enduring Lessons from the Past Decade of Operations (Suffolk: Joint and Coalition Operational Analysis, 2012), 3. Linda Robinson et al., Improving Strategic Competence: Lessons from Thirteen Years of War (Santa Monica, CA: RAND Arroyo Center, 2014), vi-vii. Henry Kissinger, “Henry Kissinger: To Settle the Ukraine Crisis, Start at the End,” Washington Post, March 5, 2014, available at http://www.washingtonpost.com/opinions/henry-kissinger-to-settle-the-ukraine-crisis-start-at-the-end/2014/03/05/46dad868-a496-11e3-8466-d34c451760b9_story.html?_ga=1.103311811.256468316.1394533786. Gideon Rose, How Wars End (New York: Simon & Schuster, 2010), 3. Raymond T. Odierno, James F. Amos, and William H. McCraven, Strategic Landpower: Winning the Clash of Wills (Fort Eustis: Army Capabilities and Integration Center, May 6, 2013), available at http://www.arcic.army.mil/app_Documents/Strategic-Landpower-White-Paper-28OCT2013.pdf. The relevance of sociopolitics to “high-intensity” conflicts becomes clear to the reader of Rose’s volume, How War’s End. Also insightful is Harry L. Coles and Albert K. Weinberg, Civil Affairs: Soldiers Become Governors (Washington, D.C.: U.S. Army Center of Military History  1992). This volume assembles documents reflecting intra-governmental debates about how best to approach military governance during World War II. Raymond Odierno, Foreward to ADP 3-0, Unified Land Operations (Washington, D.C.: U.S. Army, 2011). U.S. Army Operating Concept: Win in a Complex World, TRADOC Pam 525-3-1, October, 31, 2014. Anonymous comment from instructor at U.S. Army Command & General Staff College, verbatim. Raymond T. Odierno, Interview with James Sciutto, “Amid Tighter Budgets, U.S. Army Rebalancing and Refocusing: A Conversation with Raymond T. Odierno,” Council on Foreign Relations, February 11, 2014, available at http://www.cfr.org/united-states/amid-tighter-budgets-us-army-rebalancing-refocusing/p32373. Robert Brown, quoted in J.M. Simpson, “Lt. Gen. Brown’s Unique Perspective on War: Lunch with Sun Tzu,” Northwest Military.com, November 26, 2013, available at http://www.northwestmilitary.com/news/military-policy/2013/11/lieutenant-general-browns-unique-perspective-on-war/. Colin S. Gray, Defense Planning for National Security (Carlisle Barracks: U.S. Army War College Press, 2014), 15, 17. Séverine Autesserre, The Trouble with the Congo: Local Violence and the Failure of International Peacebuilding (Cambridge: Cambridge University Press, 2010). See also Séverine Autesserre, Peaceland: Conflict Resolution and the Everyday Politics of International Intervention (Cambridge: Cambridge University Press, 2014). Craig Parsons, How to Map Arguments in Political Science (Oxford: Oxford University Press, 2007).